Ukraine Today covered remarks on threat assessment by both the NATO Supreme Allied Commander Europe and the new Chairman of the Joint Chiefs of Staff. General Philip Breedlove, NATO’s Supreme Allied Commander Europe has told PBS news that he agrees with the new US Joint Chiefs of Staff Joe Dunford, who said Russia is a bigger threat to US state security than IS terrorism. 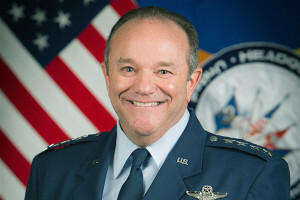 Breedlove made the remarks on Thursday (July 30) a day after the US Senate confirmed Dunford, who was commander of US Forces Afghanistan from February 2013 to August 2014, as Chairman of the influential military advisory council that advises the president on global security and military affairs.